Yesterday, I finished free motion quilting pretty swirls on my Shattered Plus quilt. I have wanted to do this free motion design for forever, and now I can! Practice, practice. The new stitch regulator helped a lot too. I'm so happy with the results! I have scrappy binding ready to go. With plenty of left-over scraps, it seemed silly not to use them for the binding. I'm getting brave with my quilting skills...I signed my name in thread! The little d in my name will probably be covered by binding. Oops! I didn't feel like unpicking it. It will make me laugh anyways. The quilting looks great, and I am really loving the vibrant colors in this quilt! It looks great. I can't wait for the big reveal! Love the swirls, and looking forward to seeing the finished quilt! 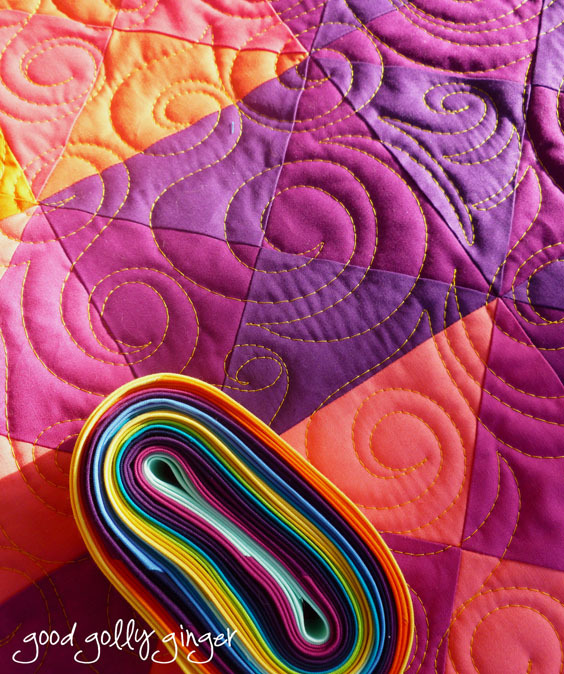 Very gorgeous colors and swirl quilting! Love it! 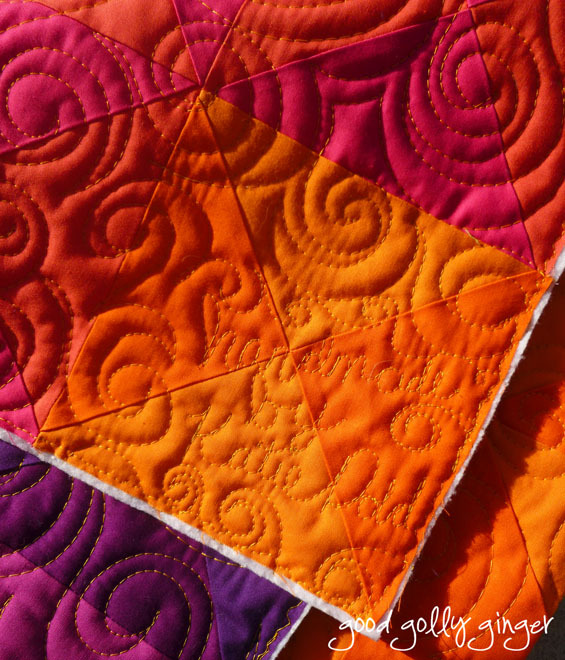 The swirls are great on that quilt, and the colours are so much fun!!! Lovely colours in that quilt, and wonderful swirls you have quilted into it. The swirls are great! What color thread are you using? It looks super on all those bright colors. Good choice, whatever color it is. 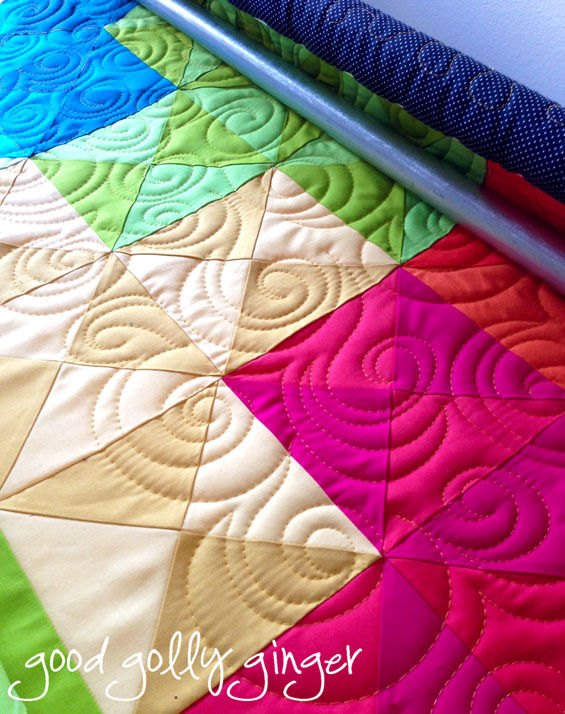 Love your use of colours and the quilting looks lovely! I just found your blog and I love this quilt. I'm new to FMQ myself and your swirls give me inspiration to give that pattern a try. The quilt is gorgeous...love the color mixes, gold thread, and pattern. 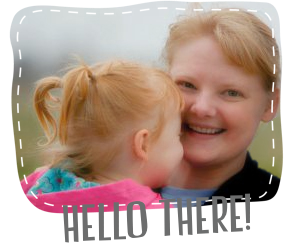 And signing in thread? Too cool! That gives me an idea to digitize my name and date and load into my embroidery machine to stitch on the backing before putting the quilt sandwich together. Thanks!